Galway children and their families can enjoy a mix of classical, contemporary, and Irish traditional music at the upcoming 3 Saturdays: 3 Kinds of Music spring/summer concert series at the Galway City Museum. 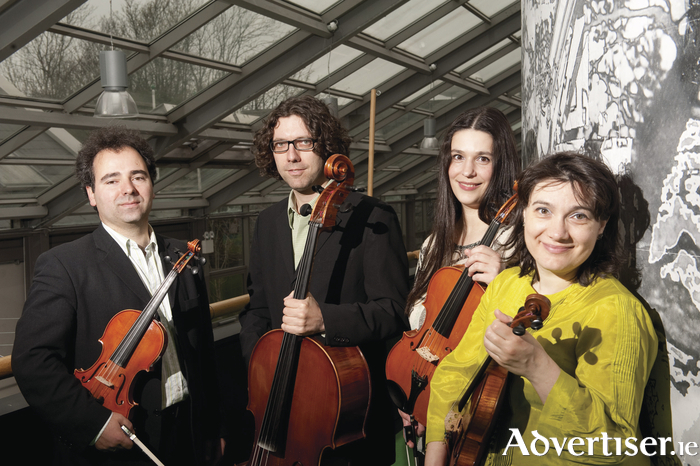 The concerts will feature the ConTempo Quartet, along with some of Ireland’s best young musicians, and will be held this Saturday, and on March 25 and May 6. Saturday's opening concert will feature ConTempo, Marcella Barz (bass clarinet ); trad duo Matthew Berrill (clarinet/bass clarinet ) and Jack Talty (concertina ); and special guest Melanie Higgins (cello ). The March 25 concert will feature music from Spanish composers, including a performance of Luigi Boccherini's 'Fandango' guitar quintet, performed by Contempo and guitarist John Feeley. The shows are organised by the Galway Music Residency in association with Galway City Museum, and supported by St Anthony’s & Claddagh Credit Union. All concerts start at 11am. Admission is free but early arrival is recommended. Donations are welcome. For further information see www.thegalwaymusicresidency.ie or call 091 - 586706.